The Wusthof 8-pc. 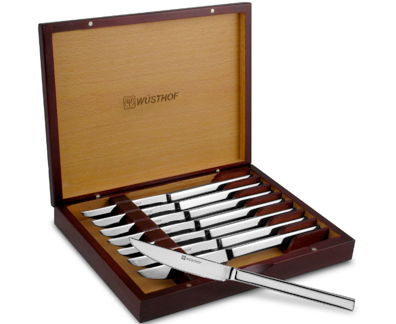 Stainless Steel Steak Knife Set with Rosewood Case makes a wonderful gift. Lifetime warranty, hand washing is recommended for best care.